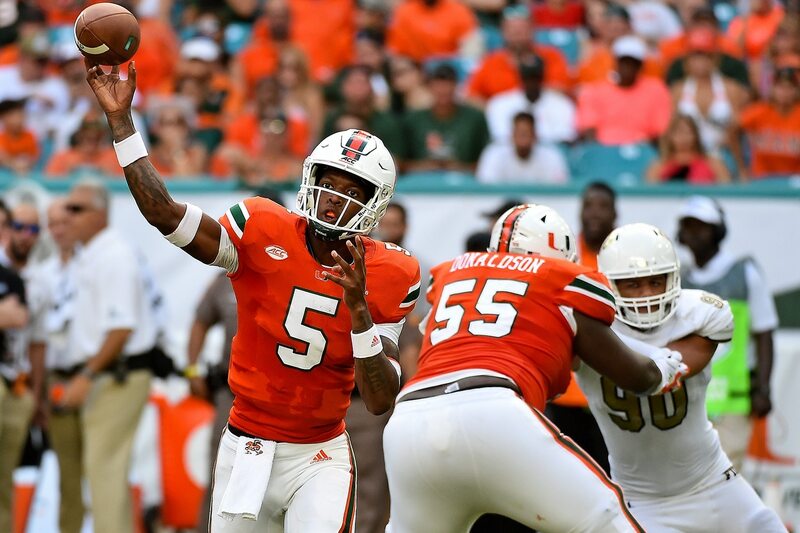 Leading up to Week 7’s battle between Miami and Virginia, we wondered how well freshman quarterback N’Kosi Perry would handle his first road game. Perry threw interceptions on two consecutive drives, the second of which occurred after a Virginia field goal early in the second quarter. Head coach Mark Richt wasted no time pulling the youngster and putting Malik Rosier back into the starting lineup. Malik Rosier is now in a quarterback. Canes take over on the Miami 25-yard line. It’s worth pointing out that it was only a few weeks back that Rosier’s starting job was taken from him against Florida International. It’s also worth pointing out that Rosier’s first drive at the helm in this one turned into a three-and-out after he went 0-of-2 passing. Miami’s quarterback problem continues to be something that is holding it back.